World Of Wizards Grindelwalds Escape. 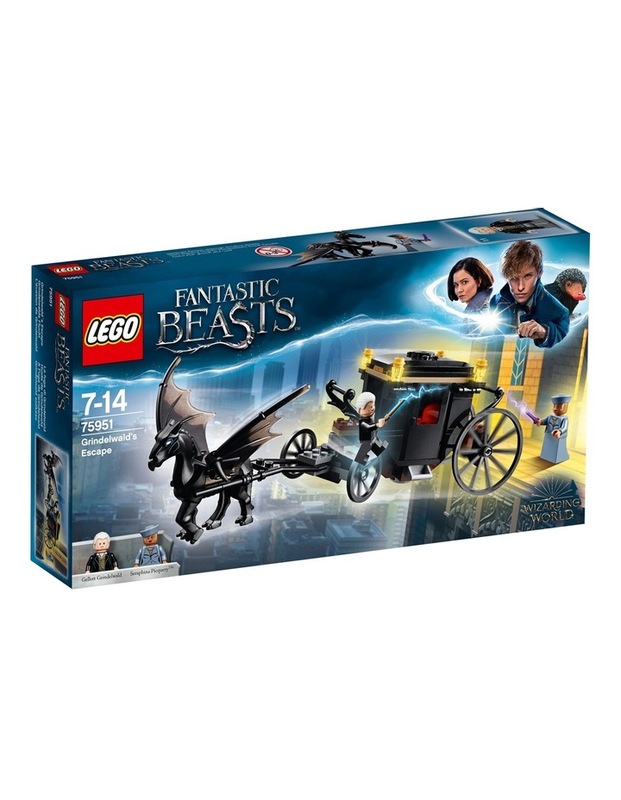 Enter a fantasy realm with LEGO Fantastic Beasts 75951 Grindelwald's Escape magical showdown between Seraphina Picquery and Grindelwald, featuring an articulated carriage with opening doors and removable roof attached to the Thestral figure with hinged wings. 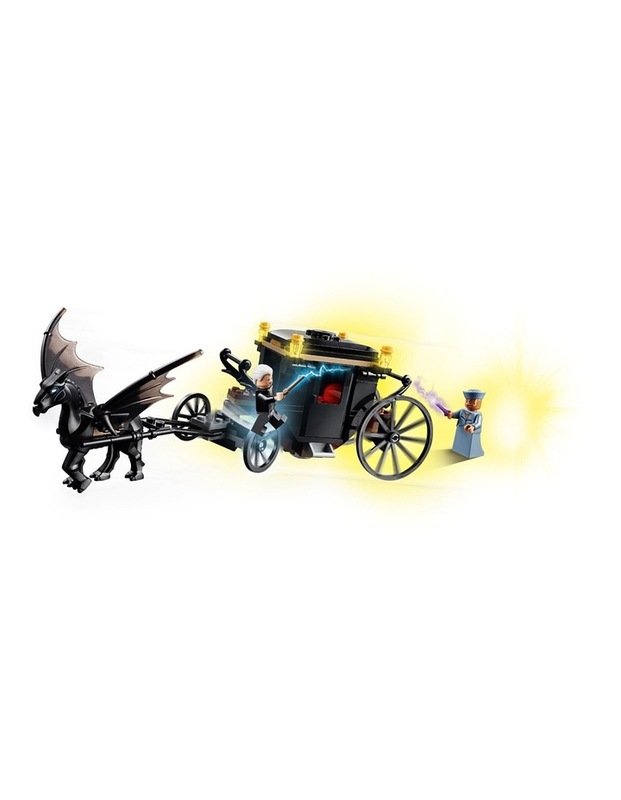 Use the shooting spell accessories to make the Fantastic Beasts: The Crimes of Grindelwald magic come alive and role-play a mighty battle. 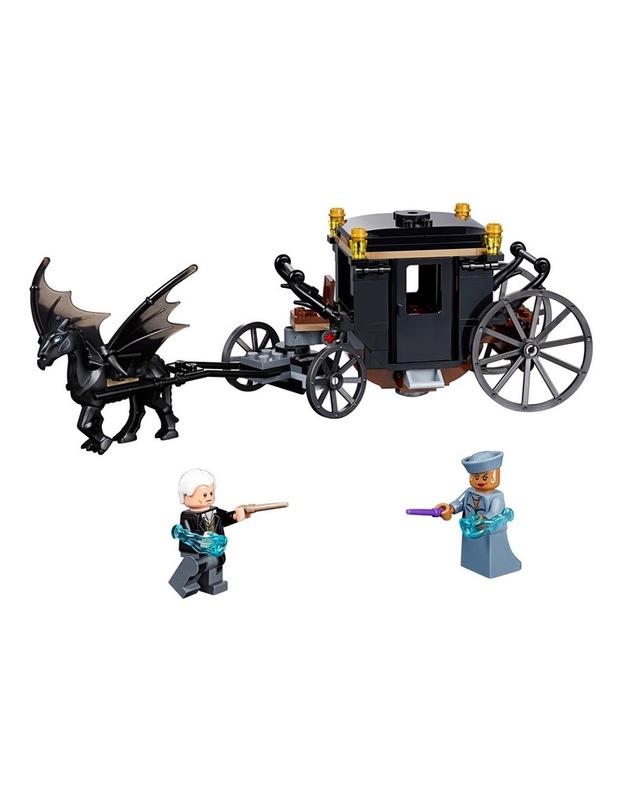 Includes 2 minifigures. 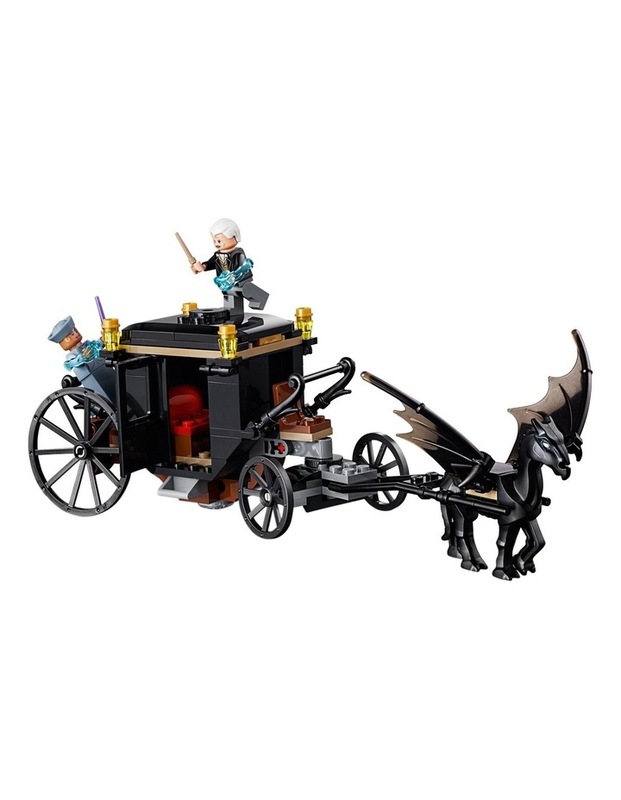 Age: 7-14; 132 Pieces.